Fremont Strings are pure fluorocarbon strings made in Japan. This is more expensive material than regular nylon and is also used by the Worth company. Most people that try these strings love them, and for good reason. They are a very high quality strings with an easy tension and an articulate voice. Try some on your concert or soprano. These sets are used for either soprano or concert sized ukuleles. 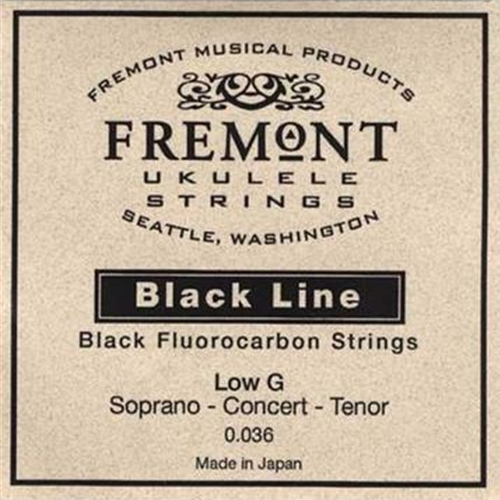 This string will work on Soprano, Concert or Tenor sized ukuleles.